In this article we will give you the details on the best motorcycle covers based on user reviews and ratings. Then, in the buyer’s guide section, How To Choose The Best Motorcycle Cover For You, we will give you the details on what characteristics and features make the ideal motorbike cover. This orange and black cover stands out among motorcycle covers for a clearly defined and unique look that you don’t see often. I like that the manufacturer had enough thought to include details like reflective piping on all sides to help light up your bike at night so it doesn’t get backed into or bumped. While there aren’t any vents on this bike cover, the manufacturer promises that the waterproof nylon fabric is also breathable enough to release moisture. Users seem to agree that the cover does a good job of avoiding too much condensation build up. Personally, I would have liked to see some vents included to help out with the job. Elastic lowers around the front and rear wheels help with keeping the cover tight to your bike. It is only offered in one size, however, so if your bike is severely smaller than the cover it may become unusable sloppy. I like the grommet holes in the front but would have liked to see extra grommet holes near the center to help hold down the tarp along its full length. 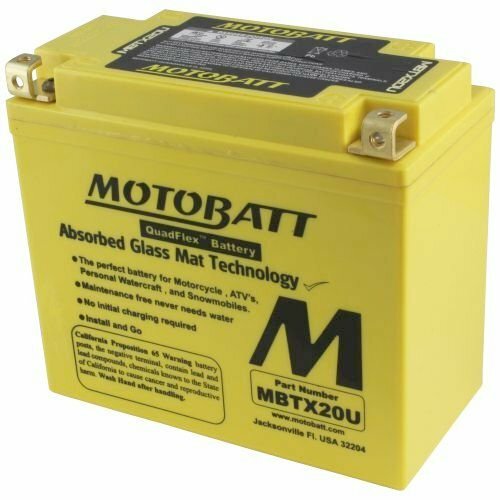 Best for large motorcycles. 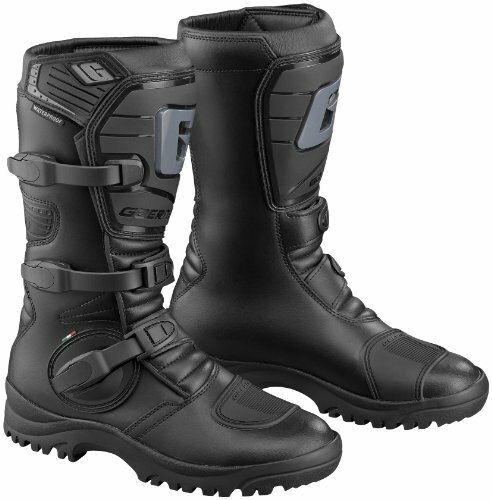 Has a distinctly high quality look that will help your two wheeler stand out. This XYZCTEM motorcycle cover is a popular choice for Harley Davidson motorcycle covers. Another cover from XYZCTEM with a slightly more rugged design and a bit lower price tag. While the differences are small, they might be worth noting for some. It features most of the features I look for on any good motorcycle cover and brings it all in at a price that’s agreeable to any budget. While I do like that they included two aluminum grommets to help lock and hold down the tarp, I would still have liked to see one in the center. Instead they’ve included a stitched-on adjustable buckle strap. This is an awesome idea but users complain about the strength of the stitching, citing that the straps rip in high winds and then the tarp is free to blow off the bike. Of course, it’s easy to reinforce the stitching yourself – making this an even more reliable and effective waterproof bike cover. For the price, it’s hard to complain! I like that they’ve included a storage bag for stashing the cover when not in use. 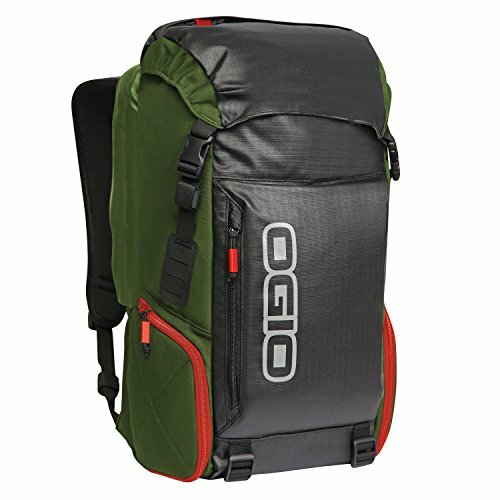 This helps keep the otherwise voluminous cover from taking up all of the space in your saddle bags. Because PU coated materials are inherently not breathable, it would have been nice to see included vents at the top of the cover. Condensation and moisture build up will be an issue. Nonetheless, this is an excellent motorcycle rain cover and possibly the best bike cover for rain. 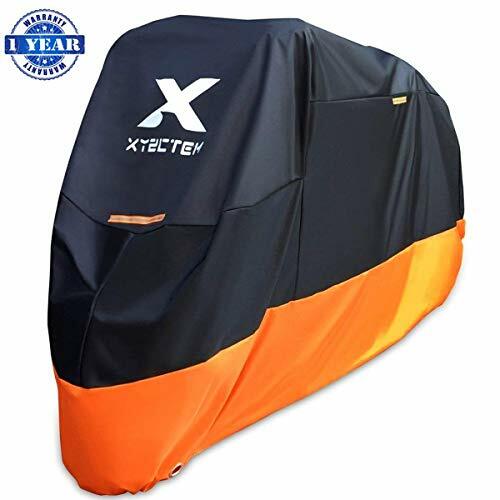 Again, this XYZCTEM product is an excellent choice for a waterproof motorcycle cover for Harley Davidson or other large bikes up to 108″. Best for budget oriented buyers who don’t mind a little DIY to make this cover just right. If you don’t mind stretching your budget a little bit, there’s a whole world of pro-level motorcycle covers available to you. One of the best is the Nelson-Rigg Deluxe. This cover is avalable in several colors and about 5 different sizes. They really went the extra mile to make a professional quality motorcycle cover. Storing your motorcycle cover usually happens on the bike. You’ll stuff it into a saddle bag and it takes up a ton of room. That’s a major problem for touring set ups where you need every square inch of space for other gear. To solve that problem Nelson-Rigg included a compression sack which makes your cover disappear into a fraction of the space. Nice! I like that they went with a robust 210T polyester with PU coating for waterproofness. There’s an elastic ring around the hem which helps keep the cover tight. And on top of that there are tie-down grommets at the center and front. Nelson-Rigg specifically mentions that their waterproof PU coating is treated to minimize UV degradation. That’s a level of detail we haven’t seen yet from other covers reviewed here. Best choice for a motorcycle rain cover that’s truly a deluxe cycle cover at a reasonable price! The Guardian by Dowco is a seriously heavy duty motorcycle cover that’s got all the goodies you need. They’ve included tons of advanced level waterproofing, venting, heat shielding, and soft cotton protection for vulnerable parts of your motorcycle. While it’s more expensive, it’s also inarguably more feature-rich than others. Dowco’s WeatherAll Plus model of waterproof bike cover has practically everything you can ask for in a rugged outdoor motorcycle cover. Beefy 300 denier polyester fabric is more than twice as rugged as most budget model covers making the Dowco WeatherAll Plus the best outdoor motorcycle cover. They’ve also specifically treated the PU to withstand sustained UV exposure. It may still degrade over time, but it will take significantly longer than untreated PU materials. I love that the waterproofing is backed up by two sided seam taping. Seam tape covers stitching that produces holes in waterproof fabric. Each stitch hole is a potential location for water to leak through. By using waterproof seam tape this problem can be avoided. I appreciate the heat shield aluminum coated lower that helps to protect from heat that could otherwise damage or melt the cover. Underneath you’ll find a webbing strap that secures the whole cover to the bike to prevent the cover from flying off in the wind. There are almost more features than I can sum up easily which makes this cover the most technical and advanced cycle cover on our list. Best for those who want maximum protection and the best motorcycle cover for outdoors. Dowco’s Guardian model has some of the best attention to detail and features of any cycle cover on the market today. That’s why I picked their indoor model as our list on the list. 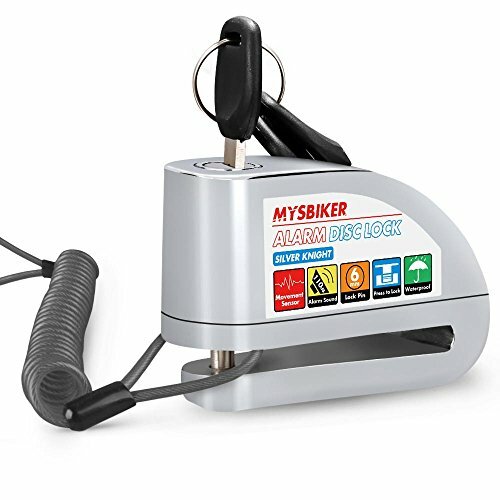 This cover is designed to protect the bike from dust, scratches, and debris when stored indoors. 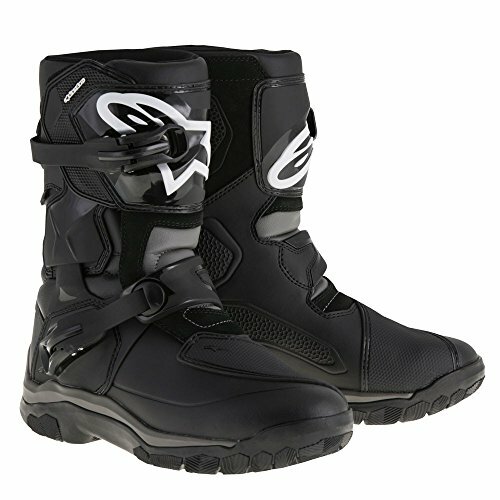 Perfect for keeping that big two wheeler shiny all winter long. For indoor use you don’t necessarily need the waterproof coatings and UV resistance offered by an outdoor motorcycle cover. Instead you need mildew resistance, ventilation, and protection. Dowco brings us all of that and more with this indoor-specific motorcycle dust cover. I love that the interior of the cover is completely covered by a 10 oz cotton duck that’s been treated with water and mildew resistant coatings. 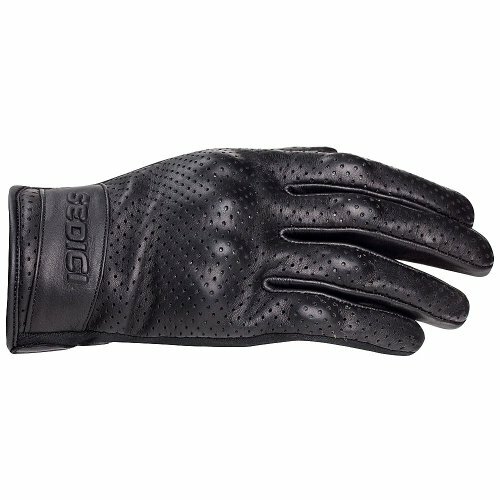 This helps to allow and moisture or condensation to escape easily while protecting the bike from scratches and bumps that could happen on accident. There are grommets at the bottom of the cover that allow you to lock it down if you really want to. This would be ideal if you have kids that might be curious and peaking under the cover. One thing worth noting is that there is absolutely zero heat protection. Do NOT put this cover on your bike until it has cooled off! Best for indoor storage use as a motorcycle dust cover and winterization of your motorcycle. Motorcycle covers are a necessary part of owning a nice bike. You’ll eventually need a tarp to cover that beautiful motorcycle from dust, rain, or scratches. But what is the best motorcycle cover for your particular needs and your bike? Can we just buy an old blue tarp from down at the hardware store and toss it up on the bike? And are there accessories that make your motorcycle cover more effective or easier to use? With over 8 years of active riding experience I’ve had to store my motorcycles in situations from garages to the backwoods of the Berkshires. There’s no doubt that I’ve been grateful to have a nice motorcycle cover to keep that big two wheeler safe and sound. I’m going to help you choose a motorcycle cover. We’ll talk about the pros and cons and various features you might want to keep an eye out for when you’re purchasing a bike cover. Whether you need a waterproof motorcycle cover or a simple dust tarp for the garage, I’ll give you the inside scoop. I’ll recommended a few motorcycle covers above in the motorcycle cover reviews. Those we selected are high quality, popular purchases for consumers today and based on user feedback and ratings. It’s often helpful to keep a motorcycle cover in the side bag to throw over the top of your motorcycle when you’ve got it parked outside any old place around town. Motorcycle covers are certainly not complex objects, by any stretch. However there are a few things to keep in mind so let’s find out what makes a great cover so much better than a cheap throw rug. Thare are literally hundreds of makers of motorcycle covers. Most are imported and private-labeled as part of a broader product line and some are single product solutions. In either case the materials are coming from common sources and the characteristics that differentiate one motorcycle cover from another is generally the quality and specifications of the materials used in its manufacture. In this article we have drawn distinctions between the materials types and specifications such as thickness, strength and water permeability. Question: What are the best motorcycle cover brands? Question: What materials are motorcycle covers made from? Common choices for waterproof materials when construction waterproof outdoor equipment include polyester, nylon, and types of vinyl or polyurethane. There are many variants and when waterproof breathable fabrics get involved, the possible combinations quickly begin to multiply. Often motorcycle cover manufacturers don’t fully disclose the fabric types and waterproofing methods used to create their tarps. However, when available, there are a few things to consider about cover materials. Waterproof breathable fabrics can be helpful in some respects. Motorcycle tarps tend to capture a lot of moisture and humidity in the summer after rain storms. This leaves loads of condensation on your bike. Vents in the cover or waterproof breathable fabrics can be deployed to help solve this very real issue. Polyester is a common material choice. This fabric is lightweight and can be covered in various coatings to help with waterproofness. It’s inexpensive and effective when used in thicker weaves. Nylon is often incorporated to some degree. Nylon is stronger than polyester and much more abrasion resistant. Those silver strips around the bottom edge of many popular covers are made from nylon. When the cover blows in the wind these nylon reinforcements help reduce damage due to abrasion in key locations. Nylon is a bit heavier than polyester but shares many of the same characteristics. Nylon can be inherently more waterproof than polyester depending on how the materials are woven. Polyurethane is a synthetic material which is often employed in creating waterproof membranes. PU (as it’s often called) is susceptible to UV degradation but can be made more robust for prolonged outdoor use by the addition of UV blocking pigments or chemicals. Chances are the manufacturer of your motorcycle tarp won’t disclose enough details for you discern for certain whether or not that’s the case. Suffice it to say that PU layers will be highly waterproof until they begin to degrade from UV exposure in direct sunlight. Most commonly motorcycle covers feature a reinforced lower skirt. 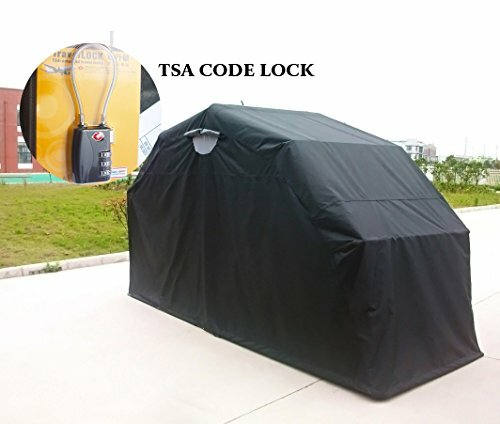 As I mentioned before, seeking a bike cover that’s crafted with a durable nylon lower is ideal to prevent chafing and abrasive destruction of the tarp over time from wind. Other features to look for are grommets. Grommets along the lower edge of the bike cover provide a location to run a chain, rope, or lock. While a chain and lock won’t prevent theft (they can cut the cover) it does help to hold down the cover in wind storms. I use just a rope myself. You may also find elastic hooks that can be used to clip to various points on your bike. 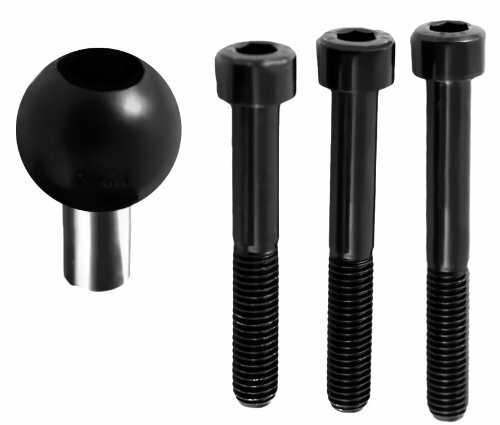 These are nice for helping to keep the tarp held down over the front and rear wheels. Elastic is often used to help keep the tarp secured around the bike. Elastic is nice around the front and rear wheels where it can contract and hold the fabric down so that the tarp cannot as easily be blown free in severe weather. By far the most overlooked aspect of motorcycle cover construction is the upper features. Most notably around where most motorcycle mirrors stick up at the handlebars. These usually end up being the high points (unless you have a tall windscreen). Having reinforcement along this ridgeline is ideal because it becomes a major stress and abrasion point. This area will run against the mirrors and windscreen as your cover buffets about in the wind. Eventually this will cause the material to fail unless your tarp has been constructed with reinforced patches such as nylon in these locations. Ideally your motorcycle cover will come with openable vents. These vents need to be downward facing and waterproof while still allowing air to circulate out of the cover. Because waterproof motorcycle covers are essentially plastic bags over your bike, they tend to trap tons of post-rain moisture in the summer. This leads to a build up of condensation and moisture which can accelerate rusting and ultimately end up making the bike just as wet as if you’d left it out in the rain. Generously sized vents placed at the apex of the cover can help with this issue. Honestly, even with good vents I’ve found that I sometimes have to take the cover off my bike after a rain and let it dry out before putting it back on. Most motorcycle covers are made in one or, at best, two sizes. Make no mistake, however. There is a massive difference in the size of cover you’ll need between a tall BMW GS with a touring windscreen, versus a GSXR 600 with a bubble windscreen. Another key factor to keep in mind is the wide hips of a touring bike loaded with panniers and bags. When I put my trunk and two side bags on my K12RS the cover barely fits! So, that said, consider the largest possible configuration your motorcycle will have when covered. Then you’ll have a better idea of what size to get. Sport bikes generally are the only motorcycles that can get away with a small tarp. Cruisers, unless they’re lacking a windscreen, and almost all touring bikes need the largest possible covers. If all else fails, check the reviews to see feedback from users with similar sized motorcycles to yours. Motorcycles get hot after a long ride. If you’ve ridden long enough you’ve probably even burned your leg on a muffler at least once. So what do you think happens when a plastic motorcycle cover touches a hot engine or a muffler? Melting is guaranteed, fire is possible. So what’s to be done? Manufacturers often use heat resistant coatings on the lower half of motorcycle covers. These protect the delicate fabric from the very destructive heat generated by engines and exhaust. This is absolutely critical unless your motorcycle has a perfectly placed exhaust that’s fully shielded from contact with the cover. There are more motorcycle covers available on the market than I can review in a single article. However, I’ve reviewed some of the most popular, most functional, and most advanced motorcycle covers that you can pick from. Make sure to see the motorcycle cover reviews section before you set off on your search for the best motorcycle cover. If you can’t find exactly what you’re looking for, any of the covers I’ve reviewed here will at least give you a place to start looking. Your motorcycle is an expensive investment, treat it right with a great motorcycle cover! Thanks for reading Top 5 Best Motorcycle Covers Reviewed. We hope that this article gave you all the information you needed to select the brand and type of motorcycle cover that is right for you. We've chosen the XYZCTEM Motorcycle Cover as Editor's Choice for the best motorcycle cover.